This video explains how to customize a Website Builder 7 theme using the product's design tools. 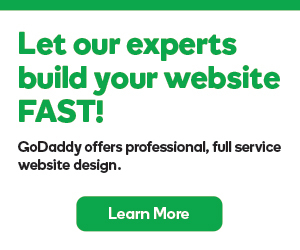 Customizing Website Builder themes is the quickest way to a personalized website! This video provides a tour of the application’s design tools and how they work. It’s important to note that this video assumes you’ve already done an initial log in to Website Builder. If you haven’t done these initial setup tasks, some screens in this video may not be familiar to you yet. To open the application, on your account page, click Website Builder/InstantPage and then click Manage next to the domain name that you want to build your website on. The Website Builder dashboard displays first each time you log in. There’s another video explaining this, so let’s open the designer; click Edit Site. The theme you selected displays in your browser. Think of your theme like a canvas on which you’ll create your website. Each theme has pluses and minuses, so it’s a good idea to take your theme for a "test drive" first. Try to change a minimal amount of the template to your text and images, just until you're sure it’s the one for you. This is important; because while you can change your theme at any time, if you do, none of the text and images you've added to the screen will be preserved. On the left side of the screen are all of the tools you can use to customize your theme. So if your theme is the canvas, this toolbar is your palette. If you want to minimize the toolbar, say to see more the screen, click the three-bar icon. If you want to hide it completely, click the push pin. Want it back again? Just click the green tab on the left side of the screen, then click the three-bar icon again. To create your personal website, you can customize your Website Builder theme in two ways: adding new items to the theme using the toolbar, or editing the existing placeholder items included in the theme. To add things to your website theme, just click the related item on the toolbar and it’s placed on the screen for you. The blue dotted line around the tool indicates that it’s moveable and editable. To move the item anywhere on the screen, click and hold on the dotted lines and until your cursor switches to arrows. Holding your mouse button down, you can drag and drop it anywhere you want on the screen. Technically though, you don’t have to add anything to your theme to create your personal website. You can always create a personalized from any theme by simply editing the existing placeholder items on the screen. Select the item you want to edit; you’ll see the blue dotted line again, as well as its edit menu. For example, this is the edit menu for a text box. You can click the pen and paper icon to change text properties, such as color and size; click the settings icon change the textbox properties, click the copy icon to duplicate the textbox, or just delete it. Let’s recap: To customize a theme and create your personalized website, you can add new items to the theme using the toolbar, or just select and edit the placeholder items included in the theme. What is a drag and drop website builder, and what’s an easier site-building tool?